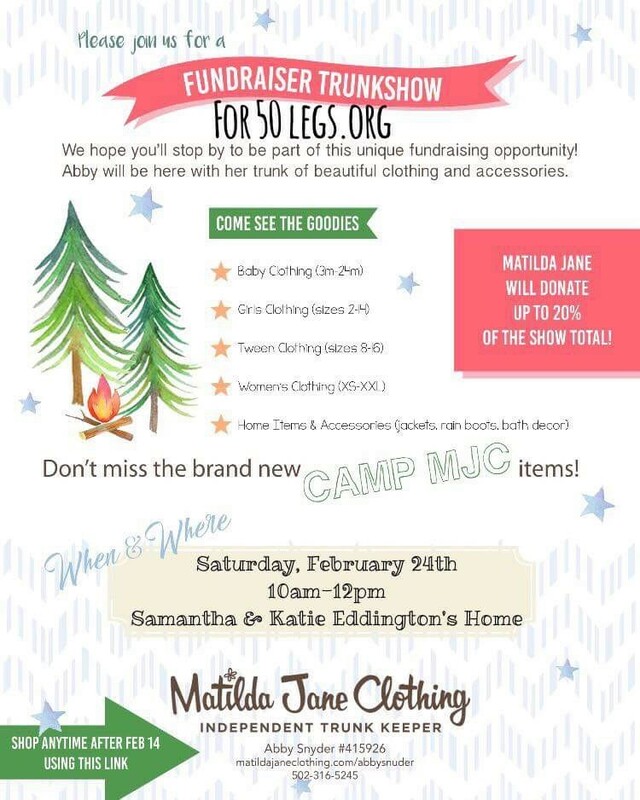 Matilda Jane is an amazing company who finds as many ways as possible to give back. One of the ways we give back is through our Janes Give Back sales. Last year MJC gave over $300,000 to charities of customer choice during this event. This event begins this week!! February 14th-28th MJC will donate directly to the causes near and dear to our hearts! Saturday, February 24th 10am-12pm at Samantha Eddington’s home.